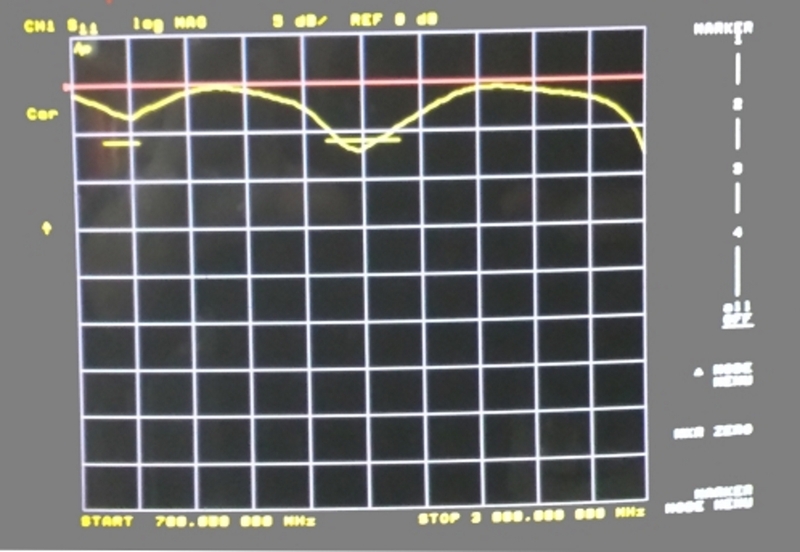 The two yellow bars on the screen of the vector network analysers mark the – 6 dB return loss target for GSM 900 and GSM 1800. In the lower GSM 900 band the antenna is far away from the -6 dB. The GSM antenna is not an antenna. It is a piece of metal inside of plastic. 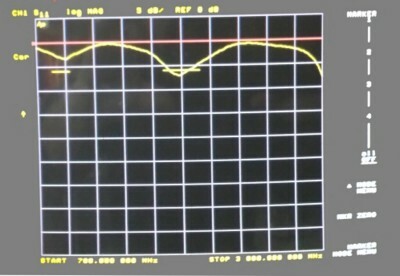 Even at the higher GSM 1800 band the -6 dB return loss is not covered. The space for the GSM antenna is huge. The gap between antenna and ground plane is big enough to reach a good antenna bandwidth. Nevertheless, I assume that the designers of the antenna never ever measured the return loss. If a customer will open the enclosure then they will find something that looks like a reasonable antenna. If you have a closer look, then you will find a wire soldered by hand to the antenna shape. First of all it is a piece of wire and no coaxial cable. The manual soldering gives the option that the antenna will not gives the same result always. A shifting of the soldering point left and right will gives different results during production. 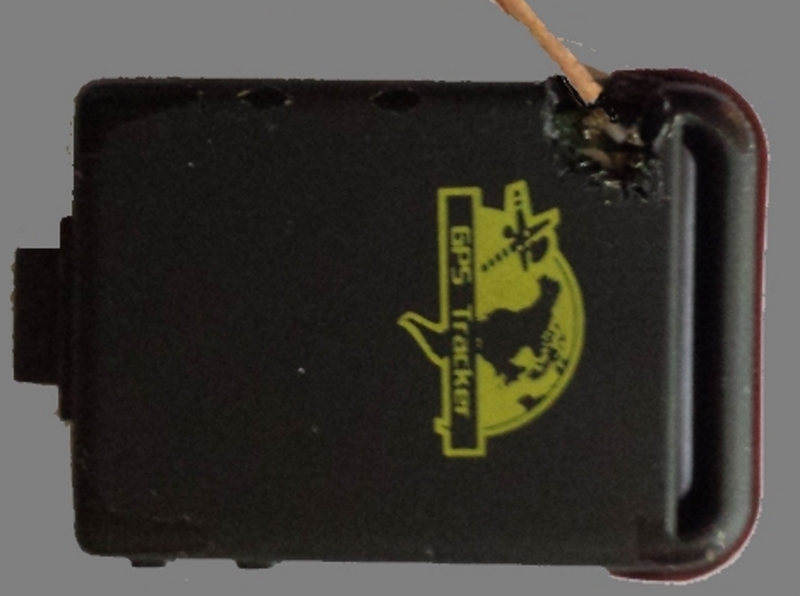 The wrong designed GSM antenna inside the GSM GPS tracker, was manual soldered by a wire and not by a coaxial cable. If the antenna will change its parameters all the time by manual soldering, how it pass an European R&TEE certification? As soon you change a mayor part of a radio device as soon the CE certification will be lost. If you plan an own mobile device like a GSM GPS tracker or a Point of Sales System then my IoT M2M Cookbook is a good starting point. It will explain you in detail how to integrate an embedded antenna, how to develop a proper power supply and a lot of more.